4/5 thru 4/7 Chasing Walleye With Some Customers. 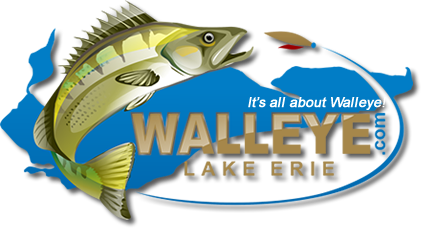 Thread: 4/5 thru 4/7 Chasing Walleye With Some Customers. Friday was a rough day on the lake after the big blow we trolled up a few in the afternoon north of Kelly's island and finished a limit jigging on the reefs. Customers where Happy and Booked another trip for May. Saturday i fished with a Friend and we searched for big fish. We found a solid 7 lb'r and some a bit smaller but no big fish on Saturday but it was a beautiful day on the lake. Sunday i had a crew of 5 looking for some big fish. We headed north of the reef complex and trolled just off in the deeper water. We ran bandits and husky jerks in blue chrome and pink clown at 1.3 and we found a bunch of big walleye. They reeled up a 10 lb'r, 2 - 9 lb'rs, 2 - 8 lb'rs and a basket of nice fish to finish. They where all a blast and it was a fun three days on the lake. I have a few open spots still open for April the 14th, 21st and the 26th. Give me a call to book your trip. 2017 Northriver seahawk 25. 30' long w/yamaha 300 and 9.9 kicker, Minn-kota ulterra 112 w/i-pilot. full garmin electronics package including 12" gps and chirp sonar, radar with satellite weather and radio, autopilot for main engine and TR1 autopilot for kicker has a private porta potti and seating for 8 under the roof. Nice work captain. Thanks for the report. Sounds like jigging is heating up. yes jigging was good sunday lots of people getting them jigging. That is a custom made side bar that is mounted the whole way around the inside of the fishing deck gunwales it is aluminum covered in a thick rubber. I then made aluminum clamps and drilled and tapped the scotty rod holders and put threaded stainless bolts thru the clamps to hold them onto the rubber strip. I only use them on the back of the boat as on the sides they allow the rods to protrude too far into the deck space on the boat and people run into them. the bar on the side makes a nice leaning rail on the gunwales. They work great for bottom bouncers off the corners or running stern planers. they slide on the rubber bar so you can position them wherever you want.